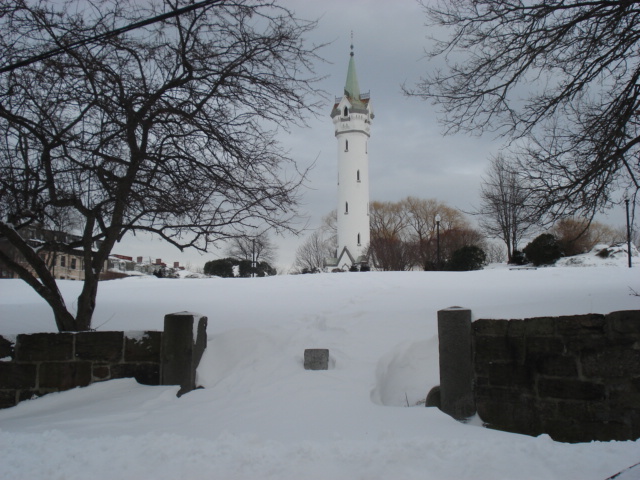 We have a lot of snow here in Boston and the hot discussion is whether the T or train system could have reopened faster – not until tomorrow morning for the Monday commute. For those of you who don’t know, the train is partially underground and partially above. I can hear them working on the orange line which runs down the hill from our house and is above ground where we are. And while our street has been plowed there are places where the wind has blown snow back across it and people are getting stuck. But Brendan Lynch at public radio WGBH is trying his best to look forward to spring. He is measuring the snow in Dustin Pedroias. Dustin is the shortest member of the Red Sox. I think that Brendan is working on the official Major League height and Dustin is actually shorter, but here is what was posted yesterday morning. There have been so new totals since then so you can do your own math. 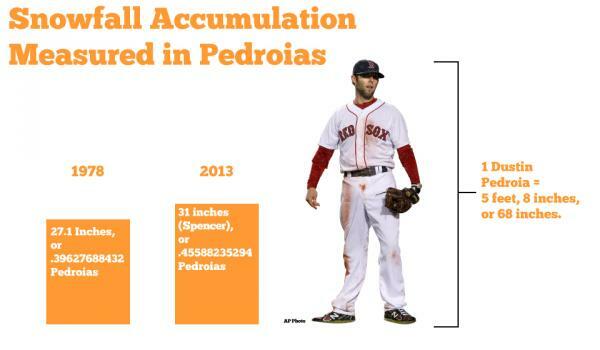 Spencer (which is near Worcester, MA) is now reported at 34.5″ clearly half a Pedroia. Logan Airport (which will be the official Boston total) is 24.9″ And Jamaica Plain, a section of Boston right across those Orange Line tracks from us, is 25.5″ These totals are from David Epstein’s Weather Wisdon blog. So while we aren’t quite half a Pedroia here in Boston, that is still a lot of snow! Another view of the park across the street. This entry was posted in Red Sox, Sports, Weather and tagged baseball, Boston MBTA, Dustin Pedroia, Orange Line, Red Sox, Snow. Bookmark the permalink.